In the past few years, Amazon has been pushing its ecosystem heavily towards the consumers. Whether it is the traditional e-commerce platform, Amazon Prime memberships, Prime Video or Prime Music, Amazon had a fantastic reception of all these platforms by its users. While Prime Video entered the mainstream video streaming platform race, Prime Music is also climbing the steps to that level one at a time. These two platforms, prove to be one of the best sources of entertainment online whether is in audio or video format. Being this popular, the users of the service expect Amazon to avail these services for Android TV as well. Well, now even though we haven’t seen Prime Video on Android TV, Amazon in its latest move has brought the Amazon Prime Music onboard the Android TV platform. 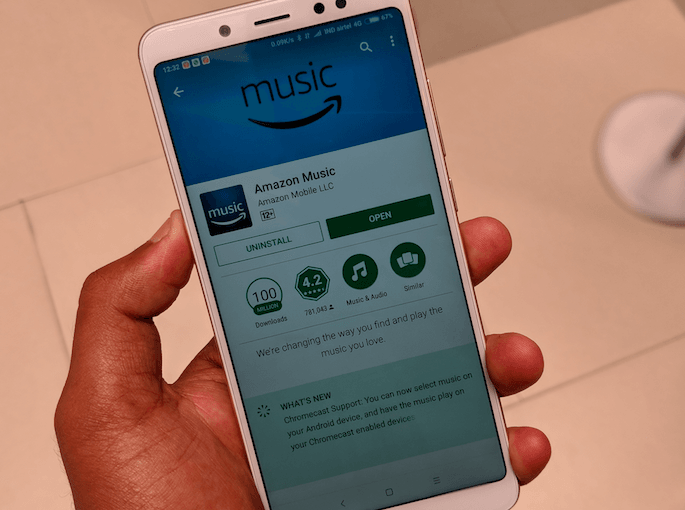 Like in the case of mobile users, now Amazon has availed the Prime Music app for Android TV users as well. Registered Amazon Prime users will be able to download the app on their TV, and they will be able to stream music and audio from the 50 million odd curated songs on Prime Music. The audio available on Prime Music will be in high quality in addition to being ad-free for the Prime members. Since this app has been specially launched for Android TV, there are some noticeable changes in the UI. We get to see new large-sized thumbnails, which have been optimised for viewing on large screens. The trending playlists which are shown on the homepage have also been optimised for viewing on TV and are easily navigable via remote controllers. The app also displays the playlists curated by the users based on their liking. 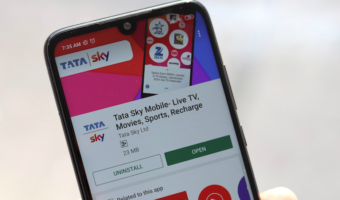 To enjoy the Prime Music Service on Android TV and to ensure a smooth experience, users should have a stable internet connection along with providing that their TV has enough internal storage for the Prime Music app and the downloaded songs. Prime Music for Android TV will allow users to download tracks for offline listening so that they can enjoy audio even while they are not connected to the internet. Further, you can use soundbars and dedicated speakers in addition to your TV speakers to ensure an even better audio experience. Also, another thing which is to be considered is that Amazon has already enabled Prime Music for its Echo line-up of smart home speakers and now the tech giant has also brought Amazon Prime Music on Android TV as well. Now it remains to be seen whether or not Amazon will bring Prime Music to Google Home Speakers. Right now, Google Home Speakers depend on YouTube, Saavn and Play Music to stream music, the addition of Prime Music would mean another option of streaming music in high quality for the users, but given that Amazon and Google share a competition in the smart home speaker segment, it is quite unlikely to happen anytime soon. Since the android mobile app supports Chromecast, it is only logical that it be available on Android TV play store as well. 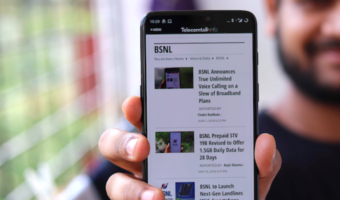 The important step would be to enable Chromecast capability for Prime video and making it available on Android Tv platform. Mostly never bcz it conflicts with firetv sales. It will add value to chromecast and other android tvs… Only can happen with mutual agreement. Youtube on firetv, prime on chromecast..
Is prime video available for Android TVs first? I don’t think it’s there for TVs running Android 8.0 or above.